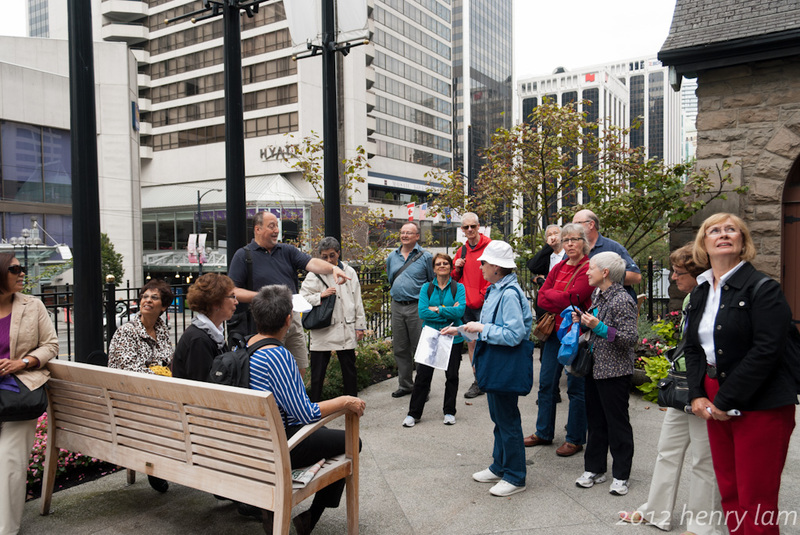 The Christ Church Cathedral was the highlight of my walking tour along Burrard Street organized by the Vancouver Heritage Foundation. This tiny unassuming church has been on the corner of Burrard and Georgia Streets since 1889. It may look like an old English countryside church on the outside, but the inside is magnificent. 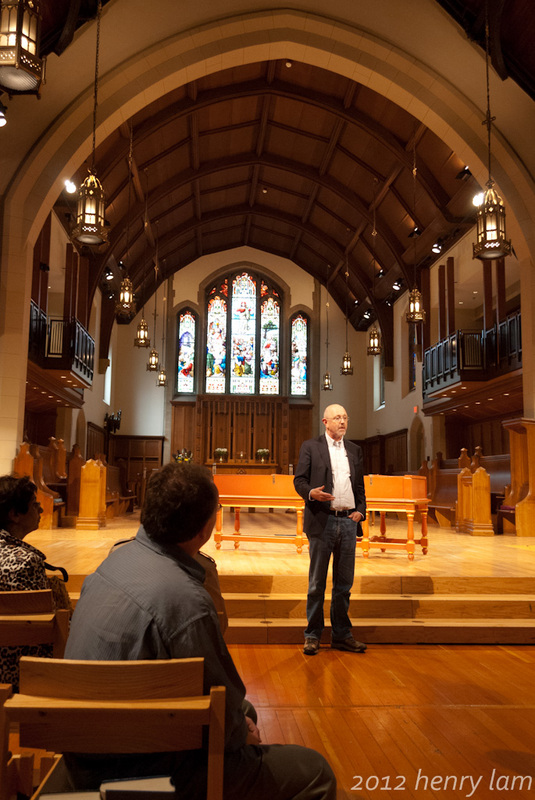 We were very fortunate to have one of the pastors, Peter Elliot, give us a little talk about the church. 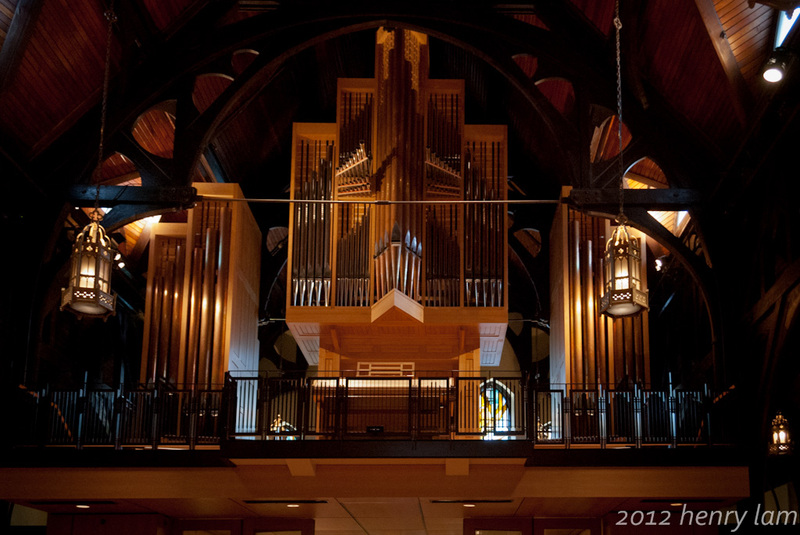 It seems that the church has taken advantage of density transfers from their property to nearby properties to help with the upkeep and renovations of this church, which included a new organ above the entrance to the sanctuary and to a new layout to the sanctuary. The stained glass windows are amazing and also eclectic. 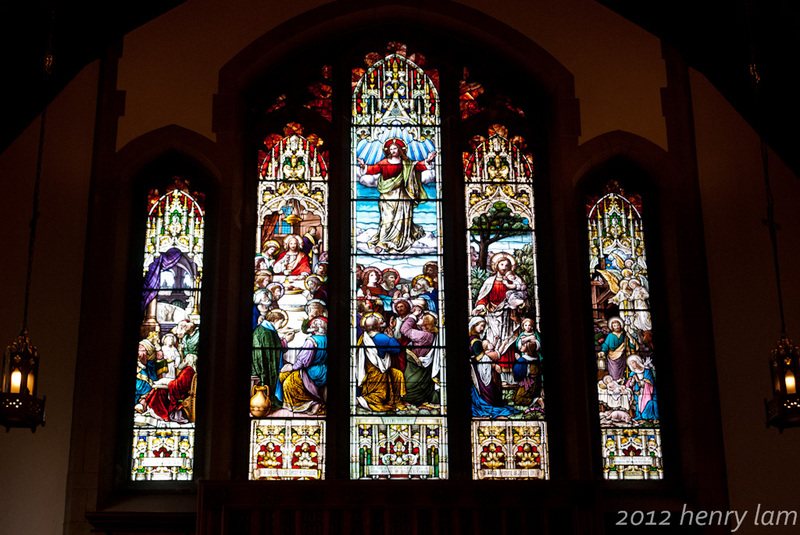 Some of the stained glass were sponsored by early citizens of Vancouver. You may be able to spot a famous Vancouver name in the corner of some of these windows. We actually were allowed to get up on the stage area and walk around. 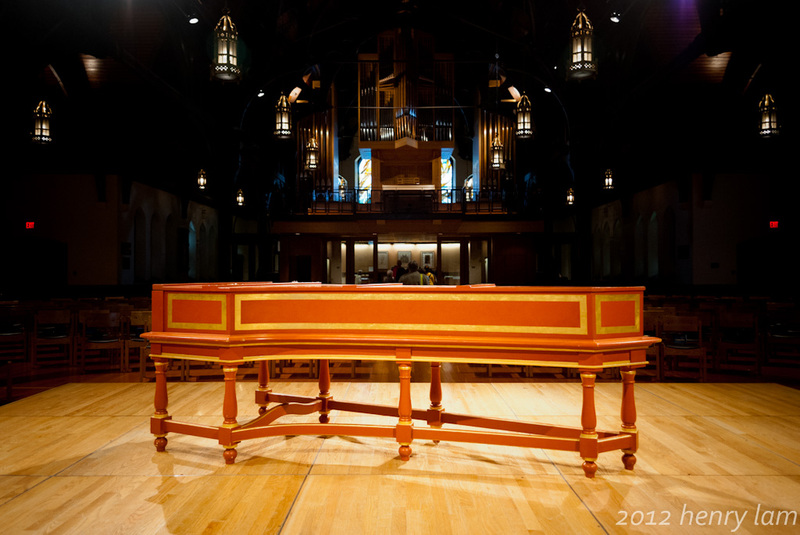 We were able to get really close to the windows and I loved getting close to the piano on stage. That was a real treat. Again, there is such a variety of stained glass windows. Maurice said we had to see this small, but significant stained glass window. 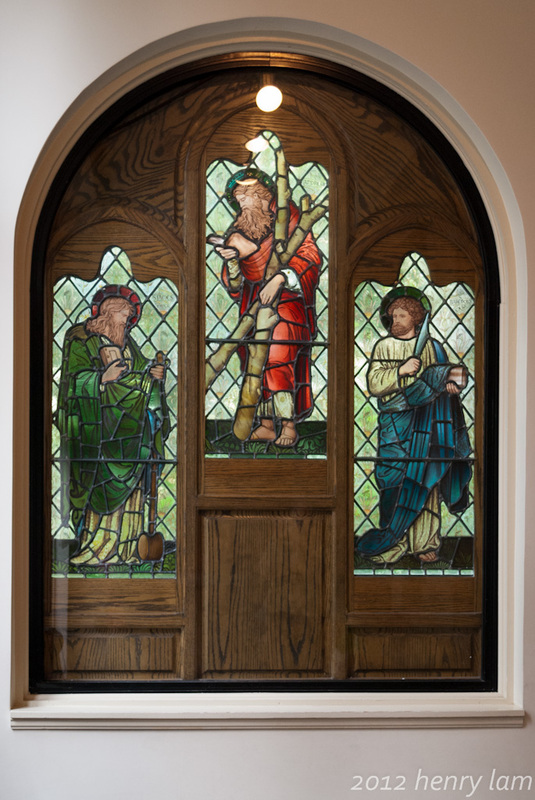 This window of three of Christ’s disciples is by the famous William Morris company of England. 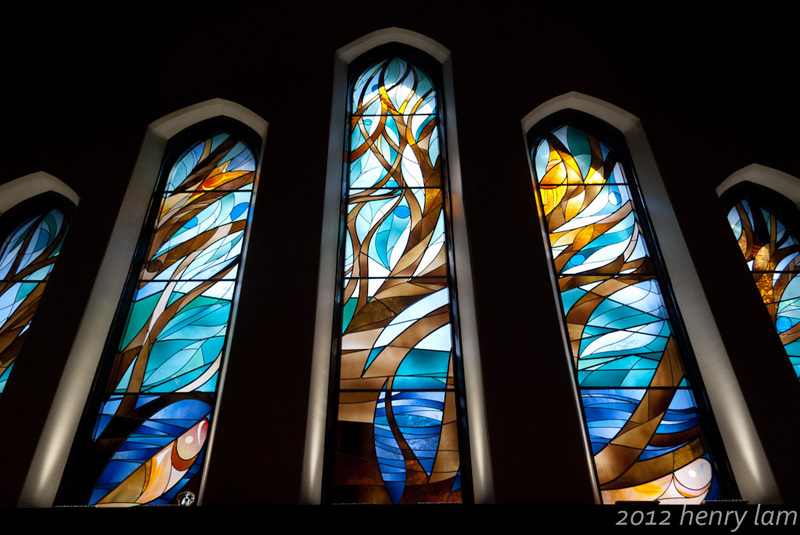 The company is well-known in stained glass and museum circles, according to the church’s stained glass window brochure. And with that, we were out the door and back on Burrard Street to go further south.